Nominations have opened for the 2016 Best Construction Blog competition. The independent judges have confirmed the popular vote selection and chosen Tocci Building Companies as the winner of the 2015 Best Construction Blog competition. The Massachusetts-based contractor certainly outpolled the other contestants, winning 326 votes compared to the second-place popular vote selection, The Rogers Townsend Construction Law blog. The judges made their decisions independently. In the final judging grid, each judge’s first selection received three points, the second received two, and their third selection received one point. This means the maximum judged vote any blog could receive would be 12 points. Based on these criteria, Tocci came in first with six votes, followed by Procore with four votes, and a three-way tie for third with three points each; Tess Wittler Writing Services, Burgin Construction Inc. and Construction Data Company (CDC). Notably, none of the blogs won support from more than two of the judges, so I wouldn’t say the vote is as close as it is one of diverging perspectives. 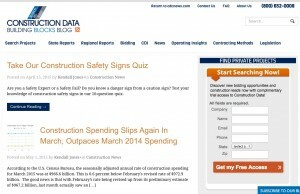 Construction Data Company’s building blocks blog was third in popular vote and tied with Tess Wittler Writing Services and Burgin Construction, Inc. for the judged vote. It becomes the third-place finalist based on the combination of popular and judged votes. Procore was sixth in popular vote, Tess Wittler was seventh and Burgin Construction Inc., a previous Best Construction Blog winner, was off the first page of the results at eighth. Weighing the judging results as a priority over the popular vote, this would indicate that Procore wins second place spot in this year’s competition and, since there is a three-way tie for the judged selection, Construction Data Company’s ranking as the third-highest popular vote collector confirms it as the third-place blog winner. What did the judges have to say about the finalists? In fairness to the judges, I won’t correlate their votes and indvidual identities, but will publish some of their comments below. I like the personal stories of what their staff does – helps customers understand what it is they do. 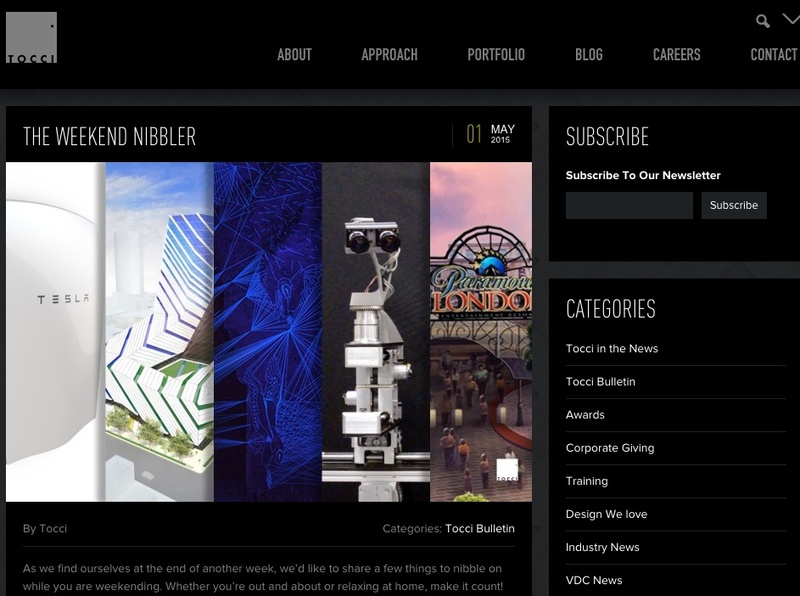 Conversely, the third judge gave the CDC Blog the top vote: “Probably one of the best I’ve seen in your competition – very niche” and the fourth judge selected Burgin Construction Inc. after a through review of graphic quality, content, reader interaction and reader support. A second judge also selected Procore as the second-place finalist, validating the selection. Of course every blog that entered the competition effectively won — there was no fee to enter the competition and the free blog reviews and listings certainly would be helpful for the blogging business’s public reputation and search engine optimization. Cassandra Pollack (www.crimsondesign.ca), a board member of the SMPS Ontario chapter, helps AEC businesses plan, strategize, and improve their marketing efforts with a collaborative, design thinking approach.